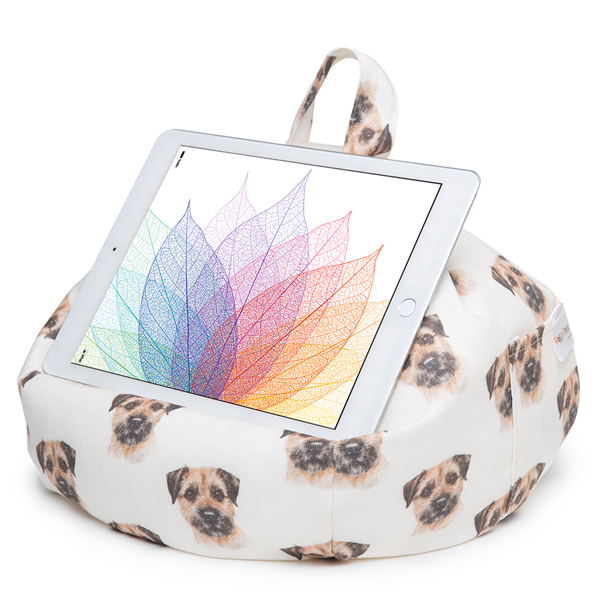 "The World's Most Comfortable Tablet Stand" —Mac Sources; Gift of the Year Award from the Giftware Association. 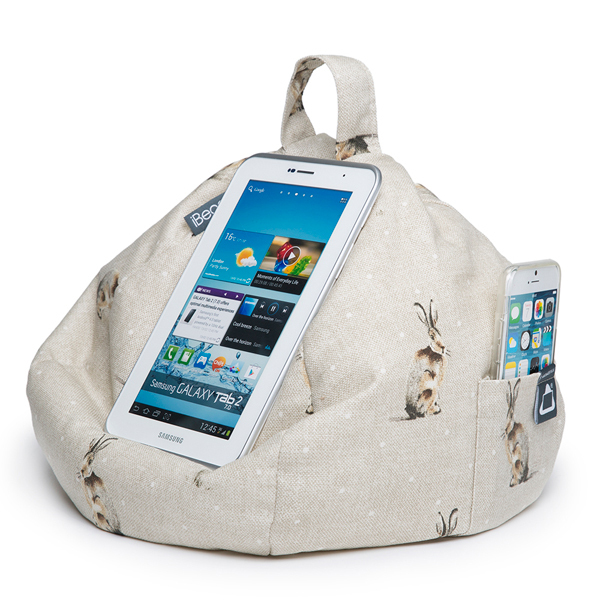 Browse, shop, read or game in comfort. 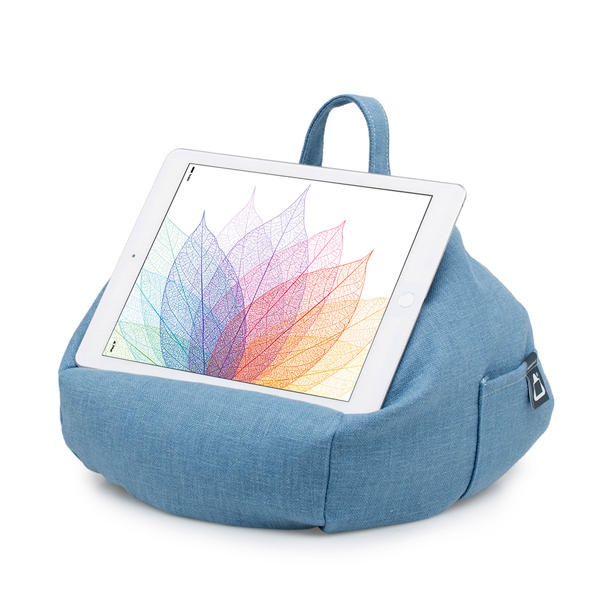 The iBeani will sit on your lap, chair arm, bed, etc. 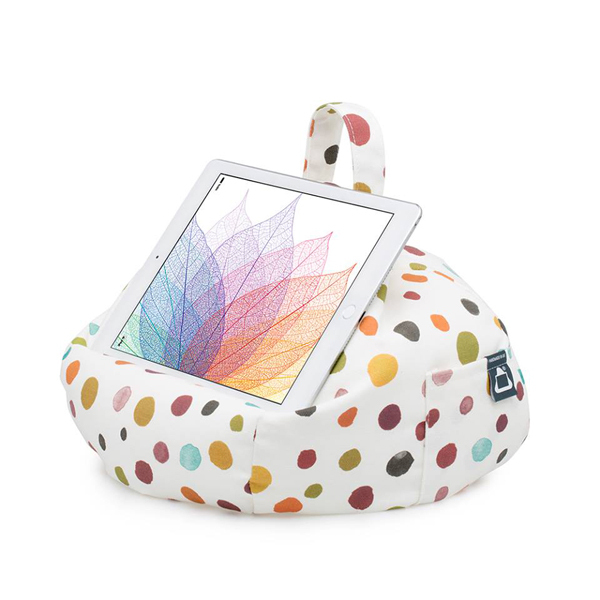 and hold any size tablet at any viewing angle. 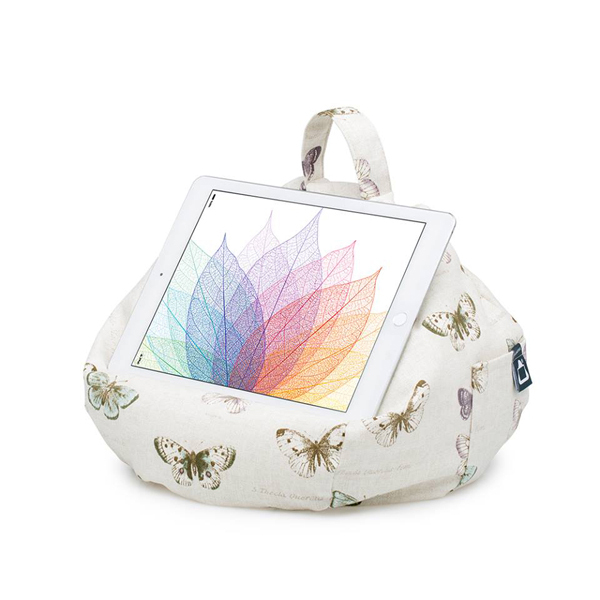 Stylish and Made in the UK - Comfort and hand-made British quality are synonymous with iBeani. 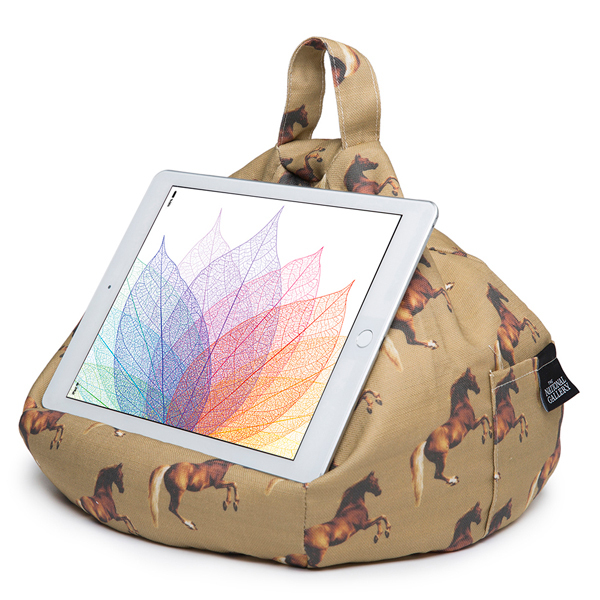 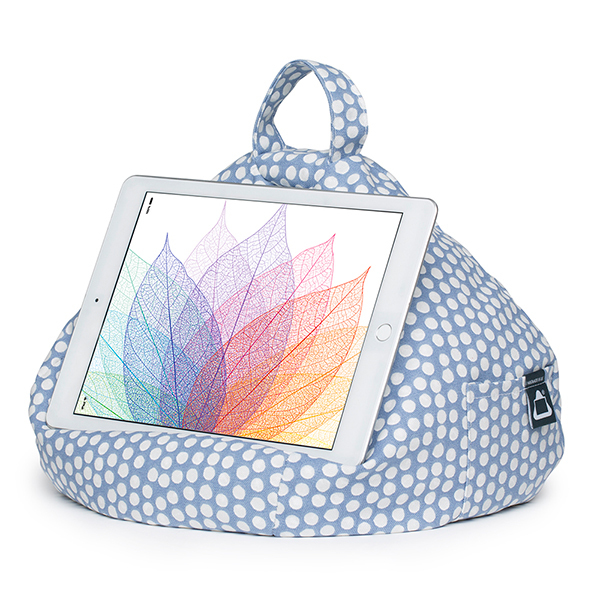 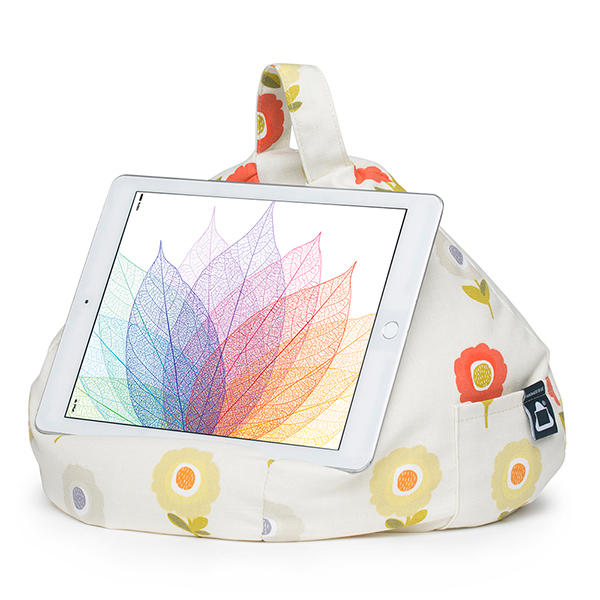 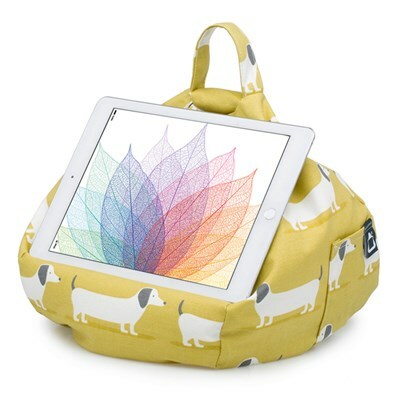 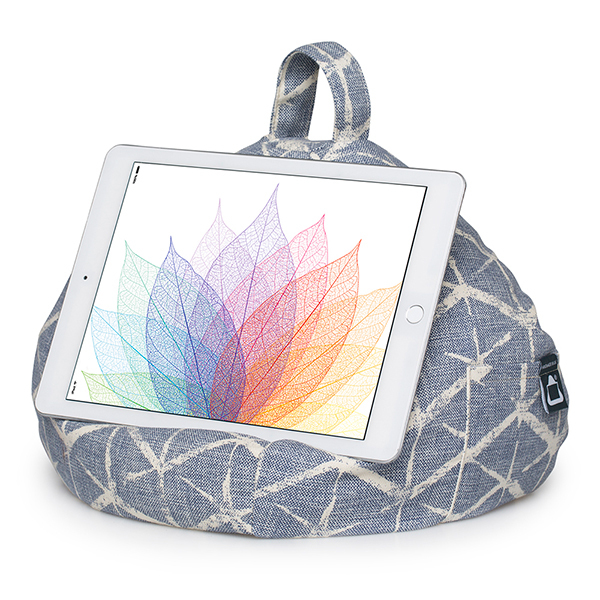 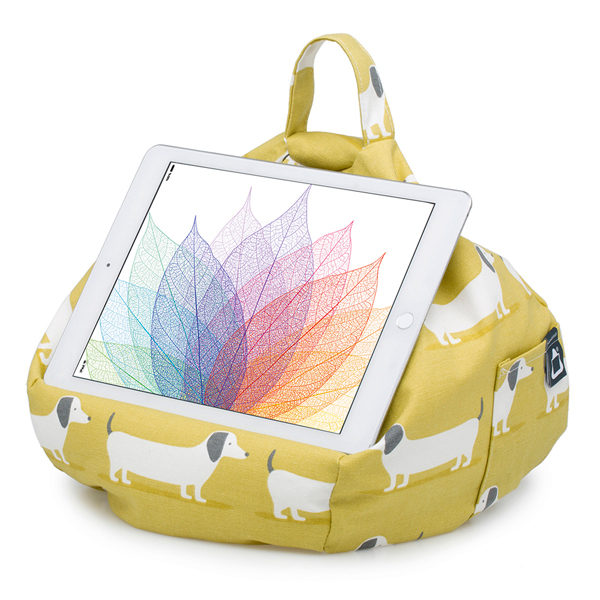 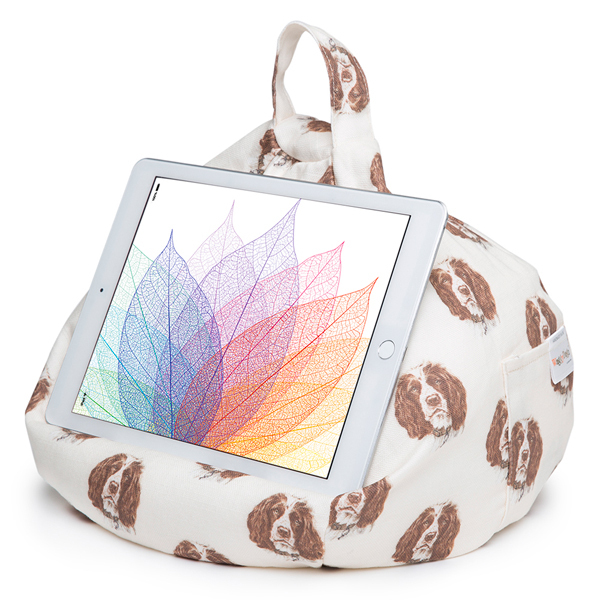 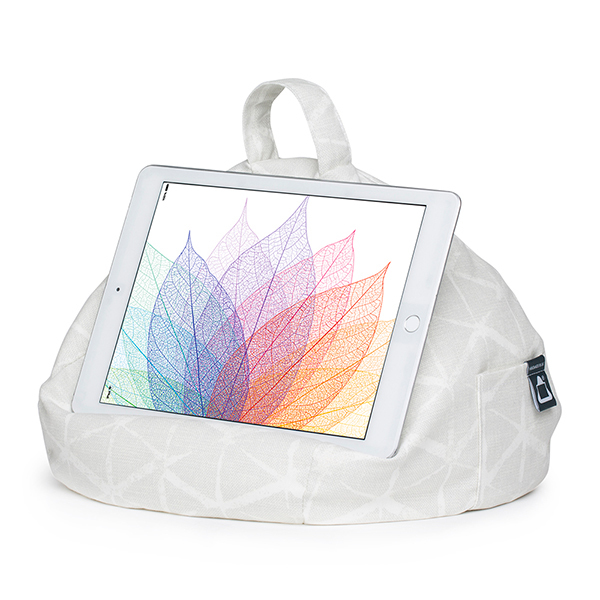 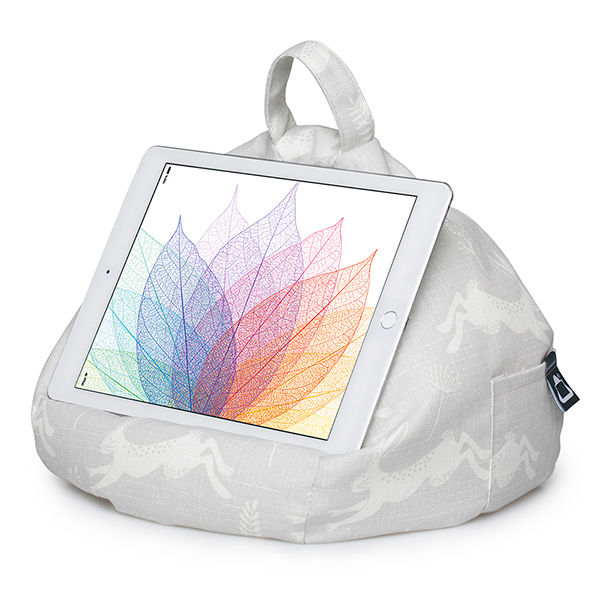 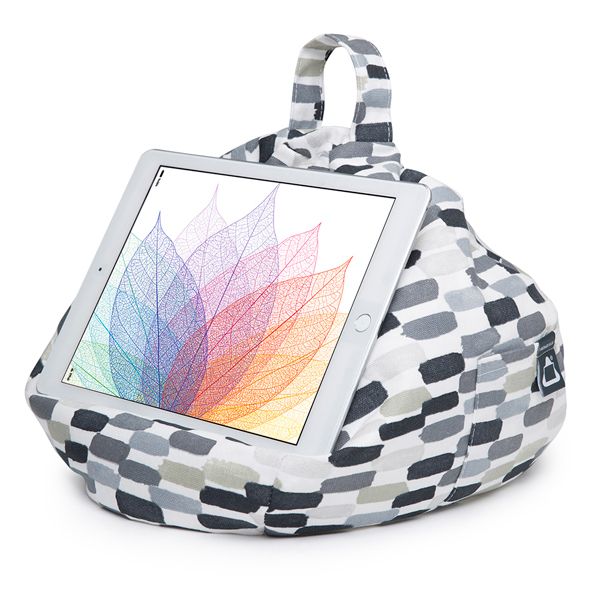 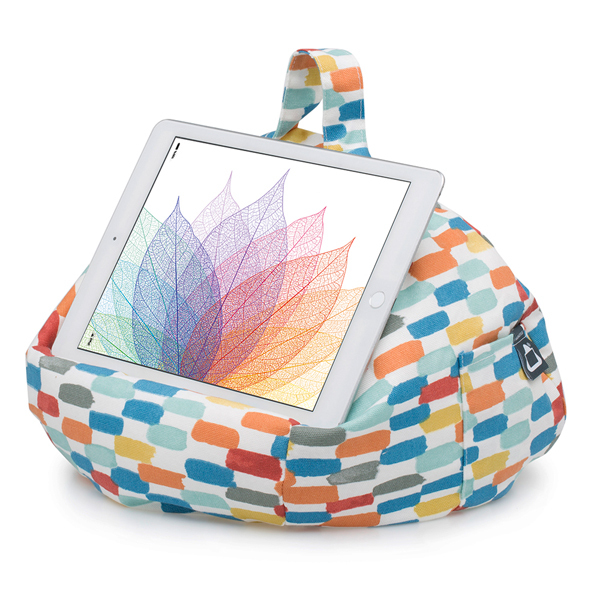 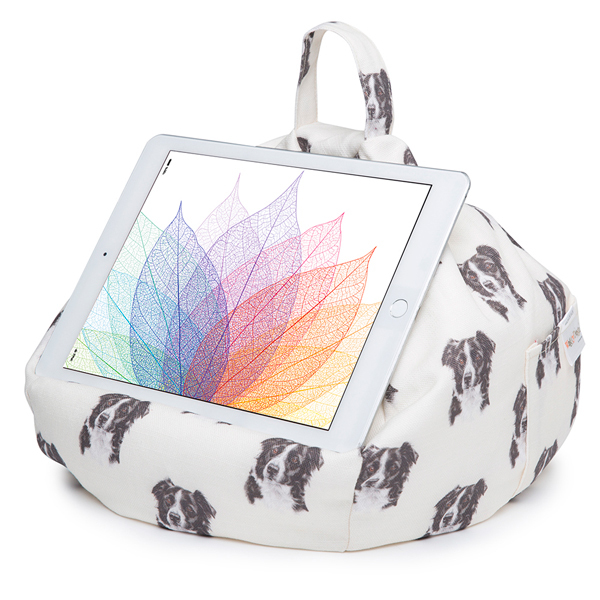 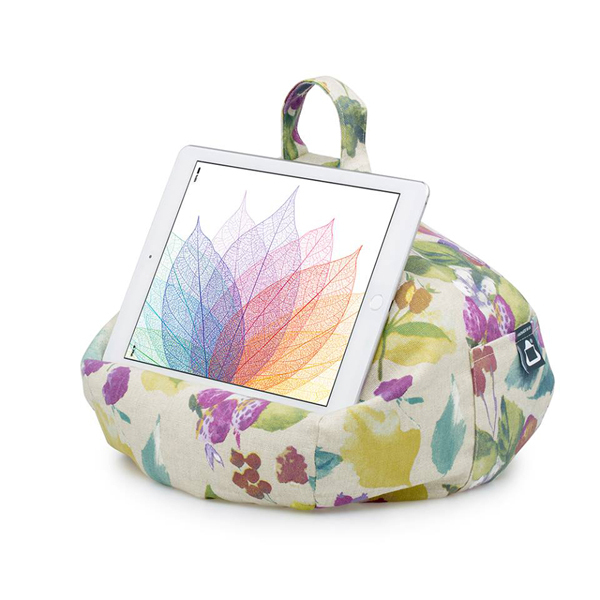 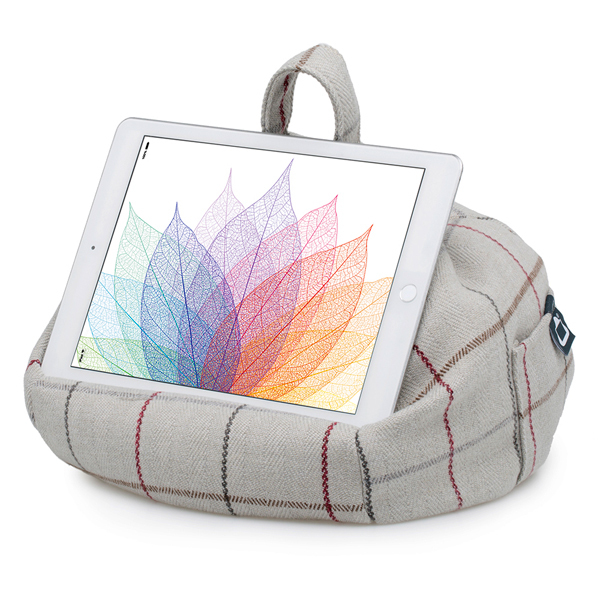 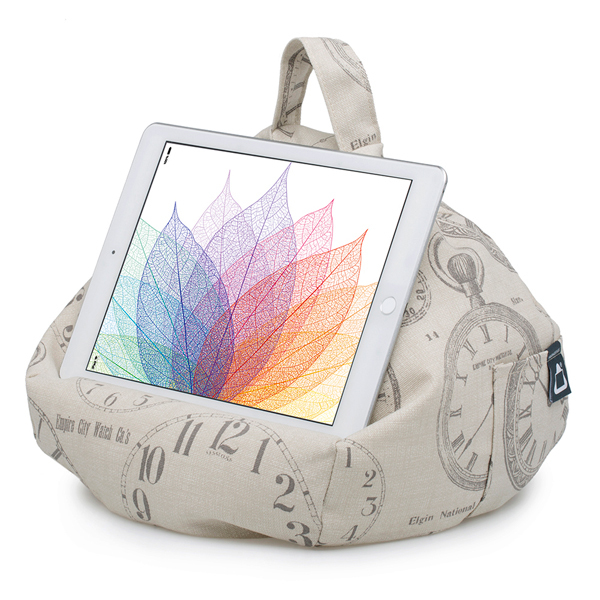 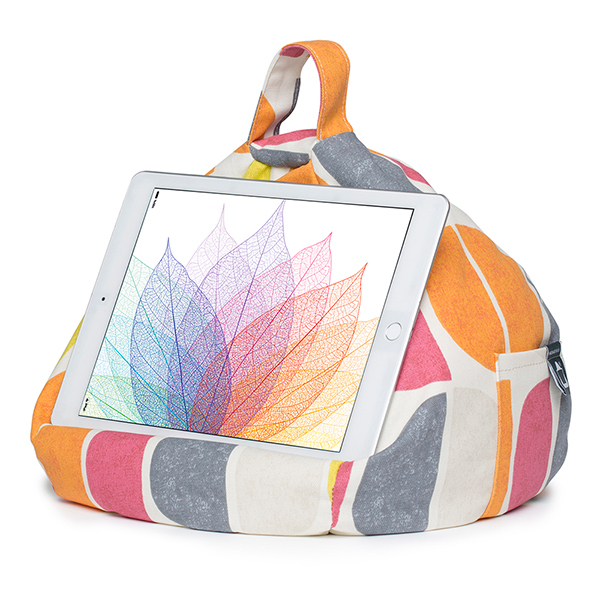 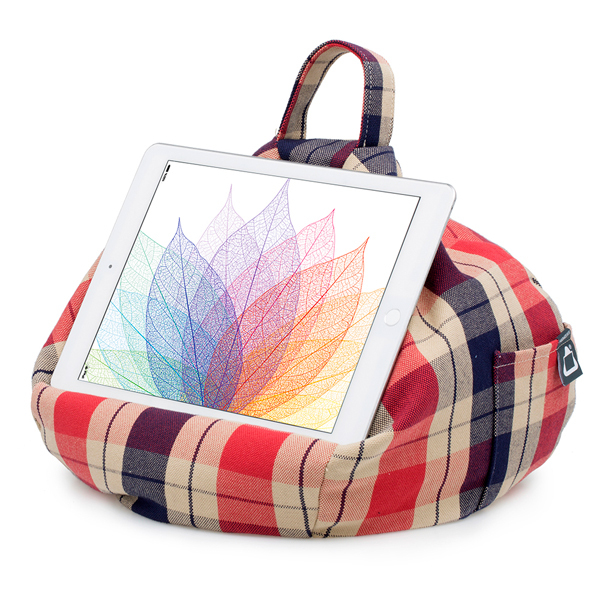 The stylish design and hand-picked quality fabrics make it the perfect and most useful lifestyle tablet accessory for every room in the home. 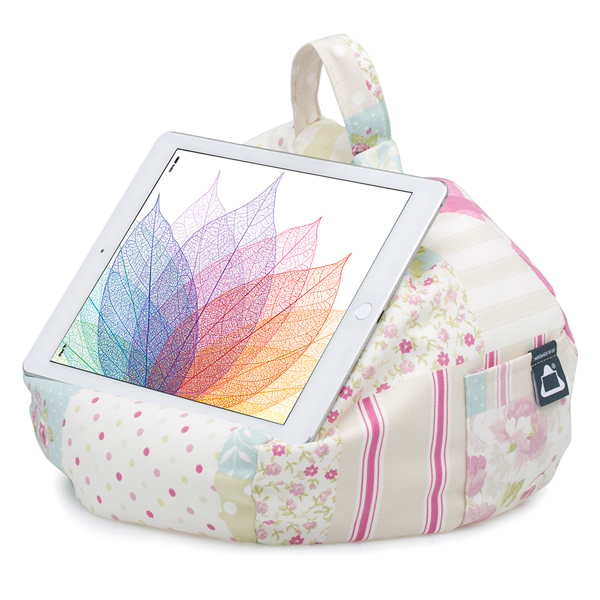 Styles to suit anyone. 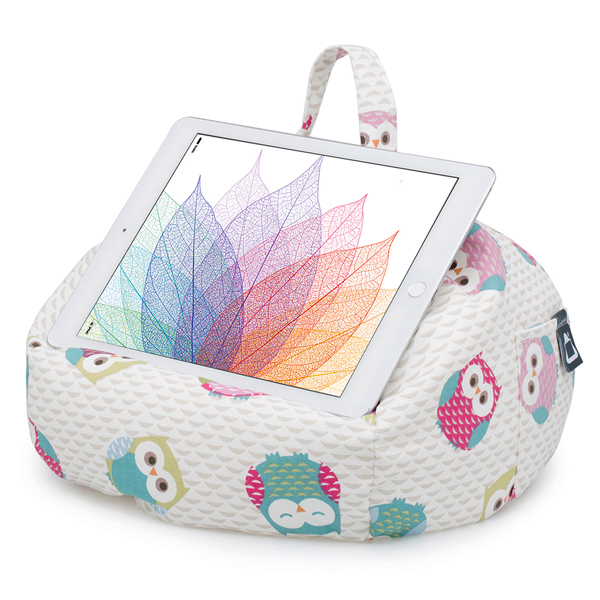 Our designs compliment home décor which is important to a lot of people. 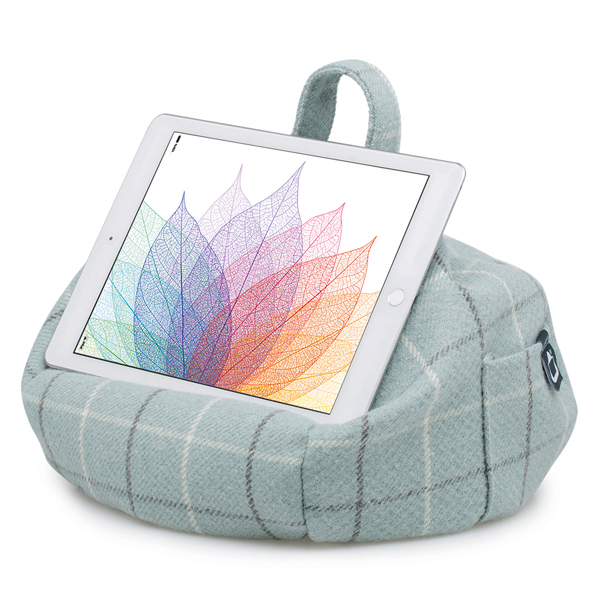 With styles to suit all, iBeani is the perfect gift for friends and family, as endorsed by our prestigious Gift of The Year award, from the Giftware Association. 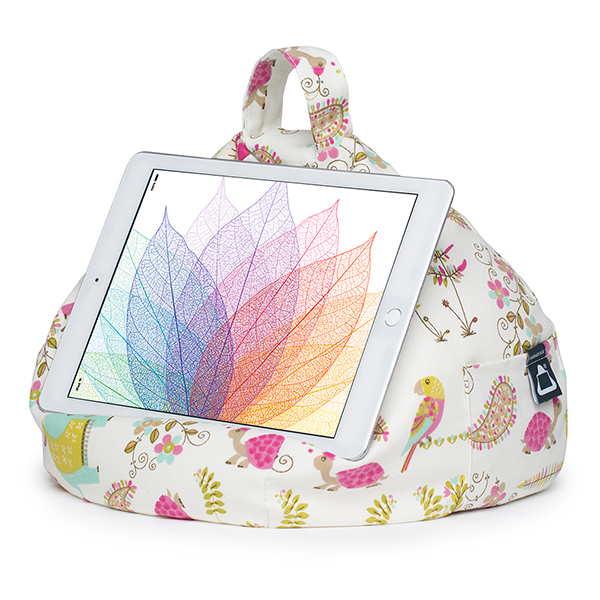 We have excellent reviews from national media and have featured in many well-known publications, including Vogue, Daily Mail, Sunday Express, Woman and Home and Mac World. 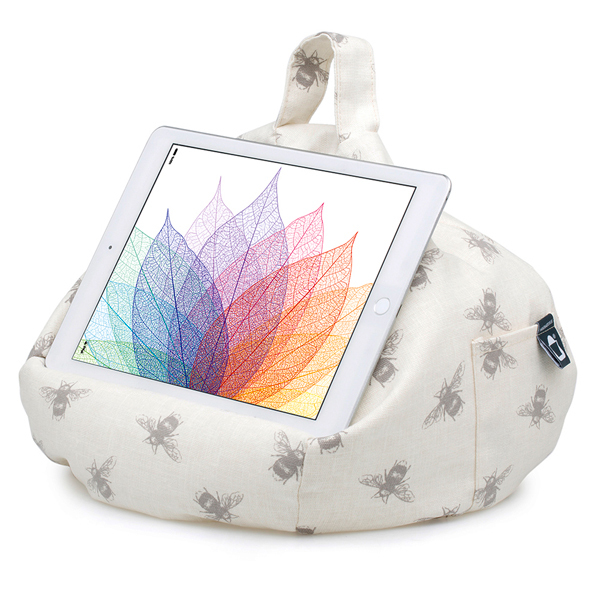 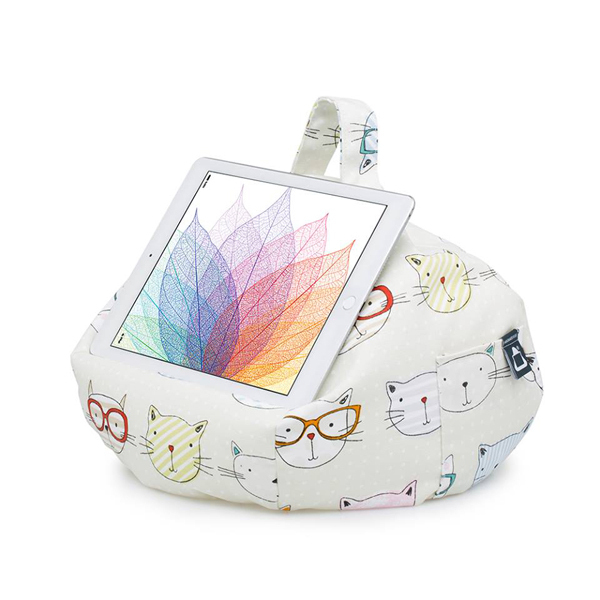 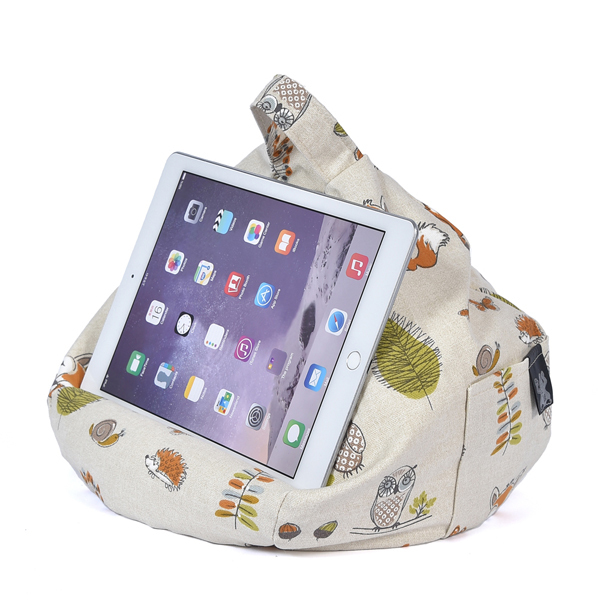 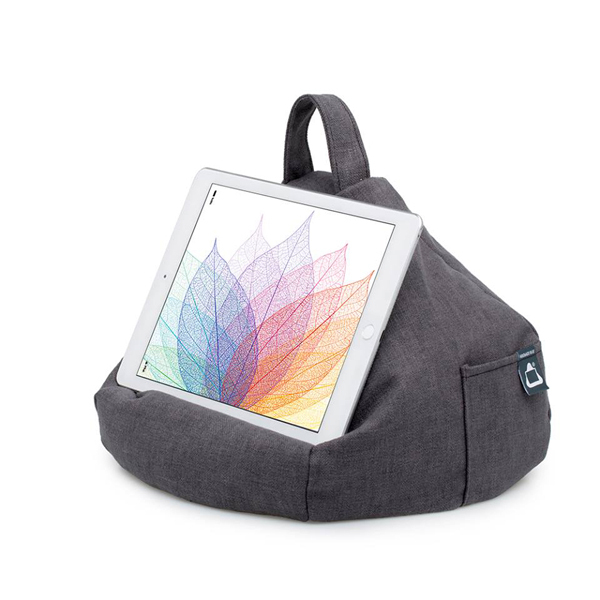 Handy Storage Pocket - iBeani comes complete with a very handy side pocket for your mobile phone, earphones, stylus, portable charger, glasses, TV remote, plus anything else you may need whilst using your tablet or reading a book. 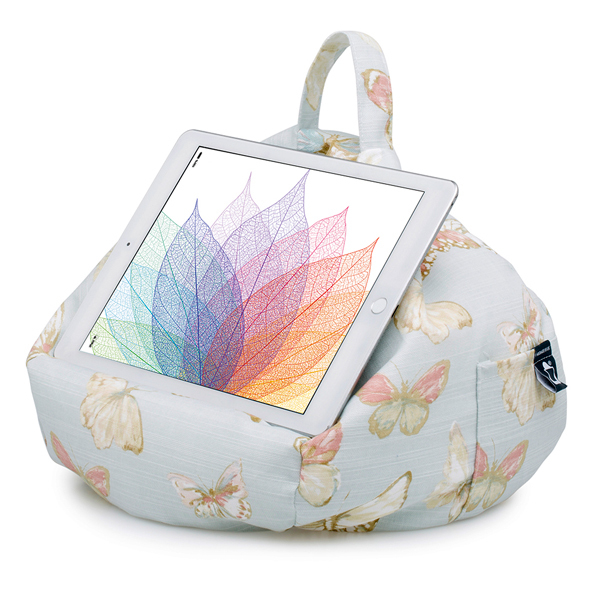 All iBeanis are filled with polystyrene beads.